Israel’s Compact Kamikaze Drones: Strategic Ineptitude or Simple Insanity? Israel has developed and is selling the new Hero-30 drone, which weighs in at a mere 7lbs and can be used to kill a target with less collateral damage than the more prevalent Predator and Reaper drones. 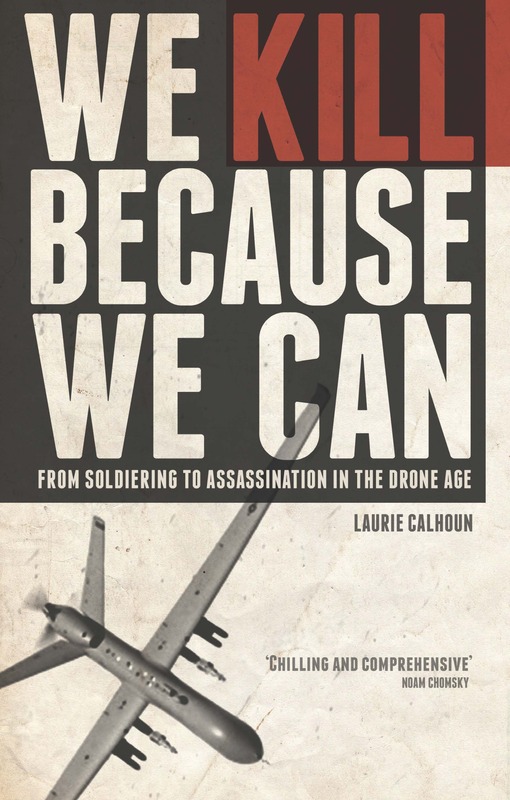 The larger drones deliver Hellfire missiles to destroy entire groups of people in “crowd killing” and “signature strikes”—or a specific named target along with whoever happens to be around. The Hero-30’s manufacturer, uVision, has boasted that their creation is in great demand. I wonder why? Former Secretary of Defense Donald Rumsfeld used to talk with vim and verve about making the military leaner and meaner. Earlier strategists had come up with the bizarre idea of “suitcase nukes”, which always struck me as odd and self-sabotaging to the citizens of the nation supposedly being protected. Who in his right mind would propose the development of weaponry ideal for use by enemies against the very people who paid for its research, development and production? Small-scale nukes could be used by small groups of committed warriors against nuclear powers in acts of retaliation logically akin to the attacks of September 11, 2001, insofar as the tools of the hegemon would be deployed against the hegemon itself. Such innovative attacks, too, would be claimed to be intended to make the citizens funding the homicides of their government—and therefore complicit as “associates”—finally come to understand what others had suffered in wars painted as “just” and “necessary” by politicians. In the Drone Age, similarly suitcase-sized UAVs (unmanned aerial vehicles or drones) are now being produced and sold by the government of Israel to undisclosed clients as it sees fit. It is puzzling, to say the least, how any strategist could regard such weapons as useful to a government without recognizing that they might be even more so to their declared enemies, in Israel’s case, the Palestinians regarded as terrorists. If we have learned anything from the history of the weapons industry, it is that the latest and greatest means to death developed by advanced states do not stay only in the hands of those who develop them. Every implement of homicide developed by a First World power ends up ultimately in the hands of the leaders of Third World client states, but also in the hands of the militants who are their enemies. Saddam Hussein would never have been able to use chemical weapons against the Kurds without the development and provision to him of such means by the governments of nations considerably more technologically and industrially advanced than Iraq. Similarly, small factions are devoid of the capacity to produce sophisticated weapons and would not use them unless they were provided with pre-fabricated versions small enough to be transferred from one person to the next. What could be better for a terrorist than the possibility of launching attacks without risking his personal demise? Fanatical jihadists are of course ready and willing to die for what they take to be a cause transcending their self. But if one act of “jihad” is good, then would not two be even better? Why not carry out multiple acts of retaliatory revenge before departing from the terrestrial world to unite finally with God? If one mass bombing is conceived by its perpetrator as a heroic act, then would it not be even better commit many attacks before making the final sacrifice? Drones make it all possible: to kill multiple times without risking death. Small drones are the perfect weapon for factions and individual operators, both politically affiliated and those who dispatch persons at the behest of their boss, the person who pays them to kill. True, that description fits drone operators just as surely as it does hitmen. As the Drone Age marches on (or should I say “spirals downward”), it seems reasonable to predict that more and more hitmen will be technicians who send out the poison or the bomb, or whatever specific means to death is deemed best under the circumstances, with next to no risk of detection. Should the death look like a heart attack? No problem: small drones are up to the task and can surely be rigged to deliver the needed means. What could be worse than a weaponized small drone falling into the hands of “technicians” who work in organized crime? How about a small drone whose payload happens to be a small nuke—or the chemical weapons used by Saddam Hussein?